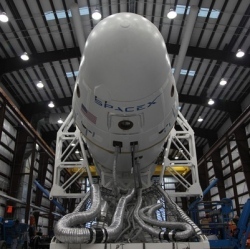 Last year, Elon Musk’s SpaceX officially entered the commercial space race. By launching its Falcon 9 rocket into orbit, the company sent a message to the world that it was ready and willing to take on the future of the commercial space industry. This has put the heat on older companies that once had the monopoly on the space industry. As a result, two of the largest commercial space businesses in Europe, Airbus and French rocket maker Safran have announced a new partnership. The commercial space industry was once dominated by three groups of companies: The United Launch Alliance (Lockheed and Boeing), Arianespace (Airbus and the French government) and International Launch Services (Lockheed plus Russian companies Khrunichev and Energia). Almost all space launches in the world rely on one of these groups. However, with SpaceX now successfully launching missions for NASA, these companies are starting to take notice. In order to compete, they’ve realized they need to up their game. The one thing that companies like Airbus and Safran have going for them is existing government contracts, as well as experience. Big government contracts often leave SpaceX out, something Musk’s company is currently fighting against. At some point, though, those governments will realize that SpaceX can save them money, and when it comes down to the bottom line, the older and larger companies will eventually be the ones losing out unless they learn to compete. SpaceX is still the only company even considering reusable rockets and that is going to make a huge dent in the cost factor.